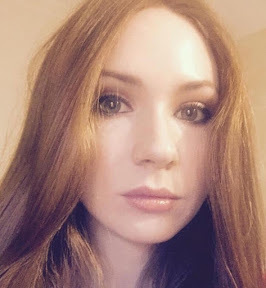 GUARDIANS of The Galaxy star Karen Gillan has arrived in Glasgow to begin filming her directorial debut movie Tupperware Party. 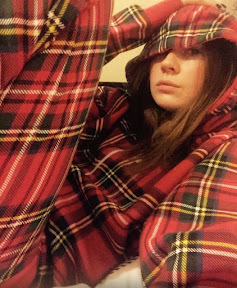 The Inverness born Doctor Who actress who played Amy Pond in the sci fi series has written the script of the feature film for Mt Hollywood films. Karen, who is keeping the storyline a tightly guarded secret, spent Christmas and New Year up with family and friends up north before arriving in Glasgow this week. In demand Karen admitted she'd been tweaking the film's script right up until the eleventh hour, telling fans online: "Racing to finish a rewrite before the new year! I got thiiiiiissssss." The star who is understandably nervous about her first big directorial offering told her Instagram followers: "Sad to be leaving Inverness and my fellow fingers. But we have a film to make. Here we go 2017!" She was spotted today in Glasgow's Buchanan Street by some fans as she prepped for her filming schedule. 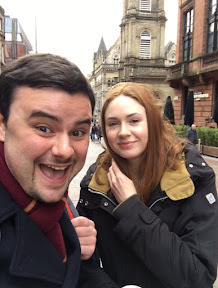 Budding actor Christopher Potter who was amongst those who saw her posted up a selfie of them both and said: "That brilliant moment when you bump into @karengillan, tell her you're a big fan and get a picture with her! Such a nice person!" Karen has a penchant for darker movies so it's expected Tupperware Party will gave more of a twist to it than the average plastic storage lid.